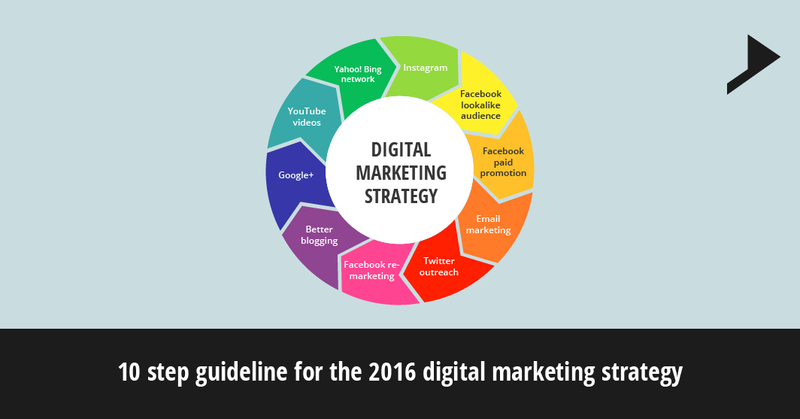 10 step guideline for the 2016 digital marketing strategy. Home / Digital Marketing / 10 step guideline for the 2016 digital marketing strategy. Guys its 2016! This is the time when digital marketers have to warm up their brain and start calculating their new budget. The most vital question is what are the best digital networks to invest into and what are the platforms which should receive more exposure. It is always said that future is in the hands of the person who is prepared for tomorrow. Start thinking for tomorrow about the online marketing and you can plan out a successful 2016 year for your business and can remain a step ahead of the huge competition. 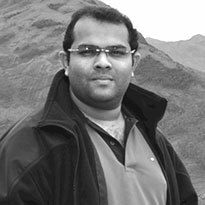 Here I am providing all my viewers a 10 step guideline for the 2016 digital marketing strategy which will act as a digital marketing blueprint for the year. A lower cost per click will definitely yield a lower cost per acquisition and it’s the accurate reason to start taking the search network seriously in this year. If you are in the professions including medical fields, insurance industry having a low cost per click can help with a profitable PPC campaign. Just start an Instagram account for your business. Today’s youngsters are much interested in social media platform with around millions of users monthly getting active on Instagram. There is a great chance for the advertisers for sharing their content through filtered photos and Instagram is the most natural ways to share contents for your brand. in the business you do as they might also be focusing on the list of the customers you care for. Let’s take an example of a company having a database of over 5000 contacts. The company can upload that database into the Facebook’s advertising platforms and hence can target the exact demographics exactly similar to the existing customers. Adding a small amount to promote the selected post will extremely increase the interaction of your post. There will be a major spike in communication when the post gets boosted. For 2016 every company has to focus more on boosting the posts which are really useful for the best yield. If you have a business that sends out one email blast every month then it’s high time to get this count doubled. Let your compelling content reach more and more subscribers on your email list. Email marketing has always been the best digital channel for the Return on Investment. Heavy strategy is needed to make email marketing work for your business in 2016. Twitter is still a vital platform where your following can be increased organically. Search for hashtags within the industry and reach out the users. Start motivating people on twitter for their good postings. More interaction and core following will be the result of the same. That’s the reason why twitter has nearly reached 1 billion registered users. Writing and posting a compelling blog helps to increase the potential to rank organically well in the search engines. Blogs are the great drivers of traffic to the website. It can also act as a teaser for an email-marketing campaign. This media will not gain you that much interaction as compared to other social media platforms. This media plays a most important role in Search Engine Optimization on the localized level which is a must for the marketers to get business in 2016. Implementation of the videos into online marketing mix can help you get an exposure in search engines. Some of the most vital tricks for getting a wide SEO exposure for your You Tube videos are uploading a transcript, proper title tag, and embedding that video. In 2016 your digital marketing strategy should include an online video as it can act as a game changer in terms of publicity of your company. In 2016 an exclusive promotional strategy will actually help you to drive massive publicity for your company. Entice your great audiences with a contest or any other kind of promotion to get more and more interaction in a clever way.